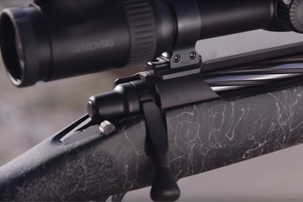 Our hunting rifles combine a quality made hunting stock and rifle combination that equips hunters to be more accurate at long ranges and any field condition. 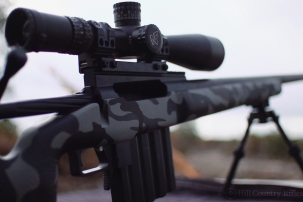 The absolute best action, barrel, trigger, and stock components combined with our unmatched aluminum pillar and glass. Jewell trigger standard with every rifle. DGR’s have our highest quality craftsmanship with the best components in the world and results in an absolutely reliable, durable, and extremely accurate Dangerous Game Rifle. Hill Country Rifles has In Stock and Ready To Ship rifles. 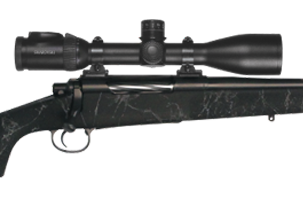 Our Ready to ship department has varying calibers of rifles for hunting and long range target shooting applications. 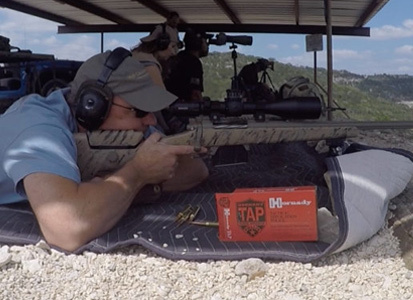 Why Hill Country Rifle Company? That is really the best question to ask when you are about to order a new rifle. Dave and I started this business in 1996, after we had worked for other companies in our industry. We are also customers in our industry. We have been on your side of the counter, your end of the phone, or more likely today, your end of the email account. We built this company to give you the same things we wanted as customers; Friendly, professional customer service, extremely high quality products made with the best components available in the world, and guaranteed results that are tested and verified before you ever take delivery of your rifle. Not only do we build the finest custom rifles on our own actions, we will also build a new custom rifle on an action you already have. Let us take one of your old rifles and turn it into the new, super-accurate, custom rifle in the caliber and configuration you really want! Hunted with the 35 whelen you built for me and it shoots amazingly well. Put 3 rounds of DT 200 gr ttsx inside a quarter at 100. Just another testament. My wife Tresa killed this nice Idaho mule deer this morning using my 7mm Field Stalker. 360 yard shot! Can't wait until she get hers in a few months. Aoudad Sheep shot with my .300 Win Mag Harvester! Check this out! 780 yards dropped in his tracks from a perfect heart shot. I've only shot one box of ammo plus one. Thank you for a great rifle!